The back-to-back one-day international series wins against Pakistan, India and South Africa in the summer of 2015 has made Bangladesh emerge out of its self-image as minnows in world cricket. But its cricketing success is no fluke. Bangladesh's success in outpacing India and Pakistan in social and human development has already been documented - specially the progress it has made in areas of female education and empowerment or in bringing down infant and maternal mortality. Its success in fighting terrorism has been recognized by both the United States of America and India - the latest arrests being that of the Bangladesh coordinator of al Qaida in the Indian Subcontinent, Maulana Mainul Islam, and his advisor, Maulana Zafor Amin. The AQIS had claimed responsibility for the murders of secular bloggers, Avijit Roy and Ananta Bijoy Das, and the security agencies have been on their trail for a while. As one Muslim majority nation which rejects the idea of an Islamic State, Bangladesh is considering a new counter-terrorism policy that may serve as a model for other Muslim-dominant nations. An extensive dialogue is on with experts in the region to integrate elements of 'soft power' and 'use of Bengali culture' in the counter-terrorism policy, alongside the usual hard options. As we mark the 50th anniversary of 1965 War with Pakistan, we need to reflect on the genesis of this conflict and on our successes and failures. The Indian Army had suffered a humiliating defeat in 1962 and Pakistan was under the impression that it would perform no better against it as well. To divert India’s attention away from Jammu and Kashmir, Pakistan first made some moves in the Rann of Kutch. Some months later, it undertook large-scale infiltration into the Valley. Pakistan’s assessment proved wrong as the locals did not cooperate with the infiltrators while the Indian Army reacted with alacrity to effectively deal with the infiltration by striking at some of their bases and capturing the Hajipir Pass. The August-September 1965 India-Pakistan War will go down as one of the country’s most significant wars. The war, which occurred at a critical juncture in India’s military history, took place less than three years after India’s humiliating defeat at the hands of the Chinese (October-November 1962). Furthermore, Pakistan had begun cosying up to China and had only less than two years earlier in 1963 illegally ceded an occupied portion of the state of Jammu and Kashmir (J&K) to Beijing. Then again, just 10 months earlier, China had flexed its nuclear muscle by exploding an atomic bomb in October 1964. On the eastern front, an assertive Indonesia was laying claims to the Great Nicobar Island, seeking renaming of the Indian Ocean to Indonesian Ocean. Another year and another bad monsoon. What were the odds? The India Meteorological Department (IMD) forecast this year’s monsoon—like last year—to be below normal. At that time, we all hoped that the IMD had got it wrong—the economy was on the cusp of a recovery and needed all the good fortune. Unfortunately, from the country’s point of view, the IMD is likely to get it right (contrary to the normal rainfall forecast put out by the private weather forecaster, Skymet Weather Services Pvt. Ltd). Worse, where IMD did go wrong was in anticipating the extent of the rain deficit this year. With barely weeks left for the annual southwest monsoon to begin its retreat, it is emerging that India will close the year with a deficit much higher than what was initially forecast. For policy planners, struggling to revive the domestic economy amid a global turmoil and the reluctance of an inflation paranoid Reserve Bank of India (RBI) to cut rates, this is yet another headache. After her return to power as prime minister in 1980, Indira Gandhi had considered a military strike on Pakistan’s nuclear installations to prevent it from acquiring weapons capabilities, a declassified document by Central Intelligence Agency (CIA) has claimed. The document titled ‘India’s Reaction to Nuclear Developments in Pakistan’, which has the date September 8, 1981, shows then Prime Minister had considered such a move at a time when the US was at an advanced stage of providing its fighter jets F-16 to Pakistan. A redacted version of the 12-page document was posted on the CIA website in June this year, according to which the then Indian government led by Gandhi in 1981 was concerned about the progress made by Pakistan on its nuclear weapons programme and believed that Islamabad was steps away from acquiring a nuclear weapon. The US had the same assessment. “In the extreme case, if Indian concerns increase over the next two or three months, we believe the conditions could be ripe for a decision by Prime Minister Gandhi to instigate a military confrontation with Pakistan, primarily to provide a framework for destroying Pakistan’s nuclear facilities,” the then highly sensitive CIA report claimed. At the time of writing of the report, CIA said Gandhi had taken no decision. According to the report, Pakistan was in an advanced stage of producing plutonium and highly enriched uranium for use in nuclear weapons. Gandhi evidently responded to the threat by authorising Indian nuclear test preparations. “In February (1981), excavation was begun in the Thar desert to permit the underground explosion of an Indian test device on short notice,” the CIA said, adding that in May, preparations had been completed by India for a 40-kiloton nuclear test. The four helicopters scythed through the air, two Black Hawks full of Delta Force operators covered by a pair of AH-6 Little Birds, all headed for the Syrian border near Al Qaim. The aircraft were flown by some of the Army’s most skilled pilots, the Night Stalkers, but it was broad daylight — 4:45 p.m. on October 26, 2008. They were on their way to kill a man. That man was Abu Ghadiya, the nom de guerre of Badran Turki Hishan al-Mazidih, an Iraqi of about thirty years of age who ran the largest foreign fighter network in Syria. 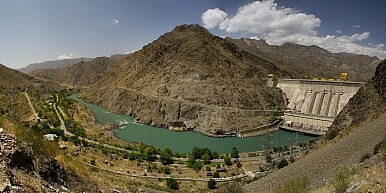 During the peak of the Iraq War in 2006 and 2007, Joint Special Operations Command — which oversees the Army’s Delta Force, the Navy’s SEAL Team 6, and other secretive and elite units — estimated Abu Ghadiya was running 120 to 150 foreign fighters (including twenty to thirty suicide bombers) a month into Iraq. Thanks to a spy in Abu Ghadiya’s camp and to signals intelligence facilitated by a JSOC operative’s repeated undercover missions to the area, the command had been carefully tracking him for months. The task force knew that he occasionally visited Iraq to maintain his bona fides with the fighters, but his regular base in the area was a safe house in Sukkariyah, a village near the town of Abu Kamal, six miles across the border from Al Qaim. It was to that village the helicopters were now flying. The raid on Sukkariyah had been nine months in the planning, but it became the only public evidence of a highly successful clandestine campaign waged inside Syria by JSOC elements since the earliest days of the Iraq War. ISLAMABAD (Reuters) - U.S. National Security Adviser Susan Rice warned Pakistani political and military leaders on Sunday that recent attacks in Afghanistan by militants based in Pakistan threaten regional security, an official said. Rice also delivered an invitation from President Barack Obama for Prime Minister Nawaz Sharif to visit the United States in October, the U.S. National Security Council said. The meetings came at a tense time for Pakistan’s relations with neighbors Afghanistan and archrival India, along with uncertainty over whether the United States will release $300 million in military aid to Pakistan. Media reports have suggested the money could be held back if the United States determines Pakistan is not doing enough to combat the Haqqani network, accused of some of the deadliest attacks in neighboring Afghanistan. A senior U.S. official who briefed reporters in Islamabad said Rice brought up this month’s rash of attacks that killed more than 50 people in the Afghan capital as an example of how militants based in Pakistan continue to destabilize much of South Asia. The Afghan Taliban have used a hagiography of their new leader to issue a blunt confession about their former one, Mullah Mohammed Omar. The death of the militant leader, the insurgents admit, was covered up for nearly two years to ensure that Taliban fighters remained fully committed to the fight against the United States and its Afghan allies. In a 5,000-word biography and apologia published in five languages, the Afghan Taliban say that Mullah Omar died on April 23, 2013. Messages nominally in his name were sent to Taliban fighters as recently as this past July, however, and Taliban leaders now admit they used the hoax to maintain solidarity in their ranks. Malaysia’s massive Bersih rally over the weekend reminded us of the colors used by protesters across Southeast Asia to symbolize and articulate their political demands in their respective countries. Bersih (meaning “clean” in the local Malay language) started as an election reform movement that mobilized thousands of Malaysians in 2007, 2011, and 2012. This year, Bersih is demanding the resignation of Prime Minister Najib Razak, who is being implicated in a corruption scandal. During all Bersih events, yellow was chosen as the protest color. It was a successful branding strategy which made yellow the symbol of the national movement for reforms in governance. A few days before Bersih 4 took place, the government enacted an order which criminalized the wearing of yellow Bersih clothing. The order described the printing, sale, and possession of the yellow Bersih shirt as a threat to security and the national interest. Rehearsals in late August for the 3 September parade in Beijing commemorating the 70th anniversary of Japan’s surrender in China provided the first views of some new missiles in the People’s Liberation Army (PLA) Second Artillery Corps’ service. If the parade includes the same kit as the rehearsal, the Dong Feng (DF, East Wind) DF-15B short-range ballistic missile (SRBM), DF-16 medium-range ballistic missile (MRBM), DF-21C MRBM, DF-26 intermediate range ballistic missile (IRBM), the warhead section of the DF-5B intercontinental ballistic missile (ICBM), the DF-31A ICBM, and the DF-10 land attack cruise missile (LACM) will be shown publically the first time. Perhaps the most prominent revelation was the DF-26 3,000-4,000 km IRBM. Based on early images of the transporter-erector-launcher (TEL), it is produced by the China Aerospace Science and Technology Corporation (CASC). This 12x12 TEL, first revealed by Chinese sources in February 2013, is likely based on CASC’s Tai'an Corporation HTF5680 vehicle. I started my job at the Federal Reserve three weeks before Lehman Brothers declared bankruptcy. I wish I had kept a diary of my initial months at the Fed, so I could recall clearly what we thought was happening each day. I do remember there was a discrete point where suddenly everything felt like it was in free-fall. It brought to mind the comment of Don Russel, Paul Keating's economic advisor, claiming there was a moment in his office when he heard the Australian economy snap, sometime in late 1989. 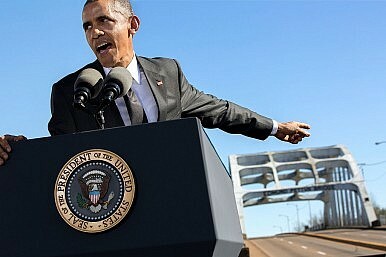 I think I heard the U.S. economy snap in my Washington office in 2008. The Center for the National Interest seeks to hire a Senior Fellow to lead projects on U.S.-China relations and U.S. policy toward China. As the Center’s principal full-time professional staff member focused on Asia, the Senior Fellow will play a key part in shaping this program and will be expected to build a highly visible role in Washington’s policy community. The successful candidate will be a competent and accomplished self-starter with expertise on one or more key areas including: U.S.-China political and security relations, U.S.-China economic relations, U.S. policy toward China, Chinese foreign policy, China’s economy, and Chinese domestic politics. 2015: The Year China Goes Broke? China, the Financial Times noted Friday, could exhaust its foreign exchange reserves within a year as it defends the value of its plunging currency, the renminbi. The paper’s arithmetic is correct of course, but the projection, which at first sounds alarming, is actually optimistic. Beijing might be broke in months—and maybe by the end of this year—despite now holding the world’s largest foreign exchange reserves. At the same time, the Chinese central government has been supporting stock valuations through various means, especially the direct purchases of shares. Beijing’s efforts to defend both stocks and the currency are severely straining its finances. The feng shui for this meeting is not propitious. Almost every significant interest group in the United States, and many political forces in China, have been offended by recent developments in the bilateral relationship. In July and August, Washington was reeling from a massive theft (attributed to China) of Office of Personnel Management data. My four-year-old granddaughter, like many other listeners, heard a more-than-faint resemblance between the smash-hit music from Disney’s Frozen and Beijing’s musical masthead for the recently awarded 2022 Beijing Winter Olympic Games. 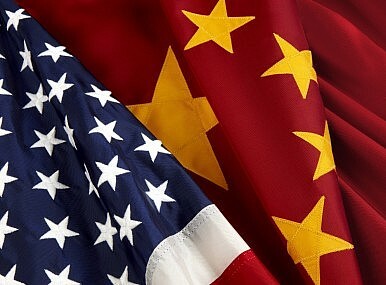 The U.S. Department of State’s Bureau of Democracy, Human Rights, and Labor picked the moment when the Chinese government is apoplectic about foreign “subversion” to release a call for NGOs to submit “Statements of Interest” in competing for $10 million to “support the bureau’s policy priorities of fostering democracy and human rights in China,” going on to advise potential applicants that “projects should have direct and lasting impact by promoting reforms and structural changes that take advantage of changing social and political dynamics in China…” Not to be outdone, with the U.S. trade deficit with China climbing rapidly, Beijing devalued its currency, thereby energizing many in the U.S. Congress to again agitate against currency “manipulation,” even though this devaluation may be a way-station toward a more market-driven exchange rate mechanism. All this was occurring amid an upswing in the arrest of lawyers and human rights activists in China, thereby energizing the American Bar Association, the New York Bar Association, and many others around the world to criticize human rights trends in the country. 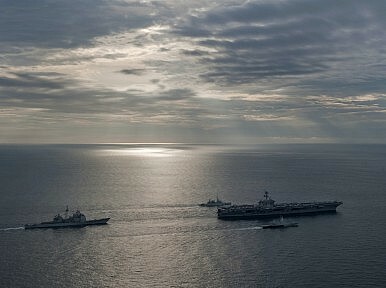 Unsurprisingly, the media attention has focused on the exercise narrowly as a response to rising concerns about China. For instance, the anti-submarine warfare focus of the exercise – which includes exercises to protect a tanker from a hostile attack submarine – is said to serve as a counter to China’s deployment of a nuclear-powered submarines in the Indian Ocean. On August 27, the Chinese defense ministry announced that the People’s Liberation Army (PLA) and the Malaysian Armed Forces (MAF) would hold their first ever joint live-troop exercise next month. The exercise, code-named “Peace and Friendship 2015,” will be held in the Malacca Strait during the second half of September. The focus, according to Chinese defense ministry spokesman Yang Yujun, will be the joint execution of non-war operations. It will include training items like joint maritime escorts, the combined search and rescue of hijacked ships, humanitarian assistance and disaster relief, and a gunnery exercise. The exercise will be read as a boost to the bilateral defense relationship and the China-Malaysia comprehensive strategic partnership more generally. While the two countries had held their first ever bilateral military drills in December 2014 last year under the banner of “Peace and Friendship 2014,” that was a joint table-top exercise held at the MAF Joint Warfare Center. This year would mark the first time that the PLA and MAF have conducted a joint live-troop exercise. The recent stock meltdown in China has understandably attracted global attention; after all, China is already the second largest economy in the world and any turmoil in its economy will inevitably affect the global economy. Indeed, we live in a truly interconnected world and as such what worries China will worry the United States and other states as well. For some good reasons, most of the global attention has focused on the usual debate between the so-called bears and the bulls, each with their own predictions for China’s economy. This, of course, is a very important topic given its huge economic and social implications for China and the world. But such a narrative also misses three important facts about China’s economy and China’s future in general. Is This Man Responsible for China’s Stock Market Crash? If Chinese authorities are to be believed, we finally know the cause of the country’s stock market woes: a single reporter. 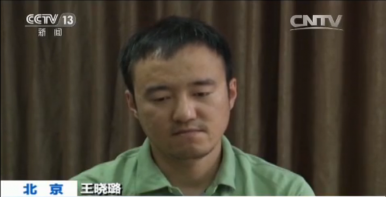 In a video segment aired by China’s state television broadcaster, journalist Wang Xiaolu confessed to fabricating a “sensationalized” story about the stock market and claimed responsibility for having “caused panic and disorder” among China’s investors. At issue is a story Wang wrote for Caijing on July 20, in which he reported that China Securities Regulatory Commission was looking to end interventions designed to prop up share prices. CSRC denied the report, which was removed from Caijing’s website last week. CSRC blamed Wang’s piece for a massive drop in the stock market in late July, which sparked market woes that continue today. Caijing, a financial and business newspaper in China, often pushes the envelope of state-sanctioned media coverage. It has been particularly active in publishing investigations into the finances and business connections of officials suspected of corruption. The Washington Post reported Sunday the Obama administration is preparing “unprecedented” economic sanctions against Chinese companies and individuals who benefit from the cybertheft of valuable U.S. trade secrets. Such action would follow President Barack Obama’s executive order declaring such activities a “national emergency,” and precedes the state visit of Chinese President Xi Jinping. 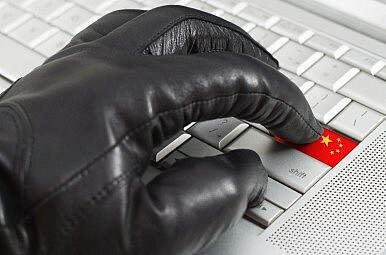 The Post, quoting several administration officials, said the United States has not yet decided to issue the sanctions, which could involve asset freezes and blocking the financial transactions of those engaged in cyberattacks. To take down the so-called Islamic State in Syria, the influential former head of the CIA wants to co-opt jihadists from America’s arch foe. The heart of the idea stems from Petraeus’s experience in Iraq in 2007, when as part of a broader strategy to defeat an Islamist insurgency the U.S. persuaded Sunni militias to stop fighting with al Qaeda and to work with the American military. 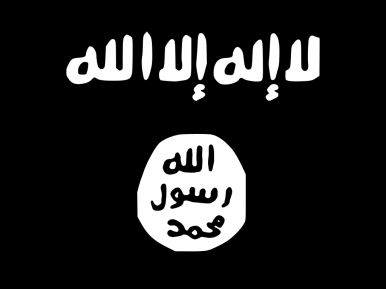 Monday, Tajikistan’s Ministry of the Interior reported that it had arrested a group of men in Nurek, a city in the Khatlon region about 43 miles southeast of Dushanbe, for hoisting an ISIS flag in the town center. In the Shahrtuz district, which is the same region but further south and west, near the Afghan border, a group of teenagers were reportedly arrested for the same crime. According to Interfax, citing a Ministry of the Interior statement, 14 men were detained in Nurek “by officers of the Interior Ministry department in the Khatlon Region in the course of their investigative work on suspicion of propaganda of Islamic State of Iraq and Syria [ISIS] ideas. The men had “became acquainted online with a certain Tajik ISIS fighter, Yunus, and hoisted a black flag in the center of the town to prove their loyalty to the terrorist group.” Other reports said 10 men had been arrested in Nurek. The website cryptome.org has placed online some excellent commercial satellite imagery of the British 225-acre nuclear weapons production and maintenance facility at AWE Burghfield, which is located east of London. The imagery can beviewed here. Bush did not invent this conception of grand strategy. His sound byte was simply a variation of Secretary of State Madeleine Albright’s triumphalist theory that America had become the world’s “essential power” with the collapse of the Soviet Union and the end of the Cold War. With the benefit of hindsight, it is now clear that Bush’s assertion of unilateral prerogative blew back on itself to create all sorts of problems at home and abroad. 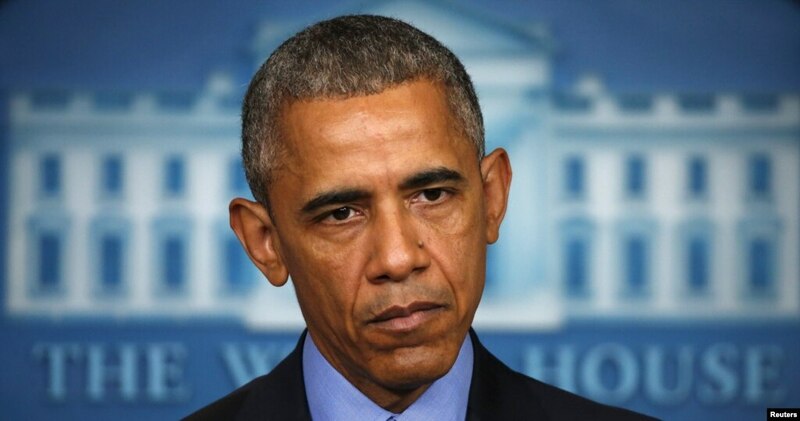 It is also clear that, notwithstanding the blowback, his coercive grand strategic outlook became more entrenched and ossified during the Presidential tenure of Barack Obama. This is evident in Obama’s unilateral escalation of drone attacks; his fatally flawed Afghan Surge decision ( & ); the foreign and domestic spying by the NSA, which included tapping the cell phones of close allies like German Prime Minister Angela Merkel; his administration’s aggressive meddling in Ukraine, together with the demonization of Vladimir Putin that is now well on the way to starting an unnecessary new cold war with Russia; and Mr. Obama’s so-called strategic pivot to the East China Sea to contain China. Two months ago, a number of senior U.S. national-security officials insisted that the Russian Federation has reemerged as the premier existential threat to American interests. Today, as energy prices continue to tumble and China's economy falters, a new narrative has emerged: the pending collapse of Russia itself, or at least the prospects that the government of Vladimir Putin is entering into its last days. The continuous oscillation in views—Russia as a powerful threat, Russia as an imploding basket case—does not permit a cool, rational assessment of Russia's actual strengths and weaknesses. Let's first start with the economic indicators. Russia's economy is contracting, its currency is losing value vis-à-vis the dollar and the euro, and its industrial output is showing signs of decline. Because of the conflict in Ukraine, Western sanctions remain in place against Russia. The second round of collapsing energy prices further decreases the revenues available to the Kremlin—although the devaluation of the currency has helped to partially compensate for this since energy exports are priced in and generally paid for in dollars and euros. And Putin's lifeline against Western sanctions—more than $100 billion in deals, credits and loans with China—has been compromised by China's own economic woes. Inflation is eating away at the savings and purchasing power of Russian citizens. Between devaluation, Western sanctions and Russian countersanctions, imports have become either more expensive or have disappeared altogether, while domestic substitutes have not generated sufficient replacements. 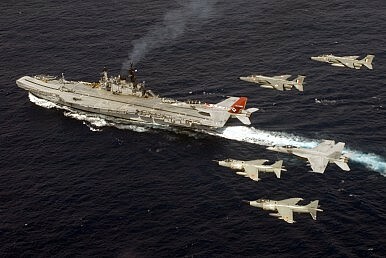 The Ultimate Weapon: Nuclear Armed Battleships? 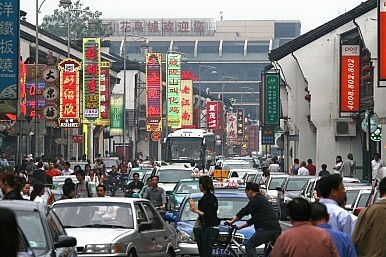 Could China's Economic Woes Infect Asia? China’s stock-market horror show wiped trillions of dollars off market valuations, sending global investors running for the exits. With the Chinese Communist Party (CCP) seemingly preoccupied with a Second World War victory parade, analysts have urged Beijing to fire economic bullets instead to prevent a region-wide recession. In a “Black Monday” for global stocks, the Shanghai bourse plunged 8.5 percent on August 24, wiping out its entire gains for 2015 despite previous heavy-handed interventions by the Chinese authorities. Five straight days of falls saw $1.4 trillion slashed from Chinese stock valuations, triggering the biggest correction in international markets since the 2011 European sovereign debt crisis. The plunge followed a previous 150-percent gain in Chinese stocks in just twelve months, driven by an army of individual investors and egged on by state media. India’s relationship with the Seychelles, a small Indian Ocean island state northeast of Madagascar with a population of around 90,000, is expanding. 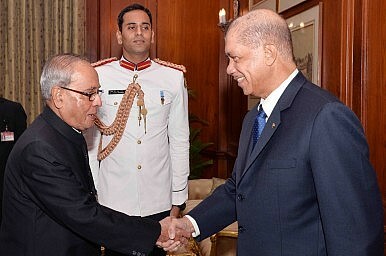 President James Michel of Seychelles was in India for a three day state visit last week that highlighted the growing links between New Delhi and Victoria. Michel last visited New Delhi on state visits in 2010 and 2005. Michel’s visit to New Delhi comes five months after Indian Prime Minister Narendra Modi visited Seychelles on a broader tour of the Indian Ocean region–Modi also visited Sri Lanka and Mauritius. Amid growing perceptions in India that China is laying down a strategic framework around the Indian Ocean, New Delhi is making a new push to seal in its partnerships around the region. One of the notable outcomes of Michel’s visit to New Delhi was the conclusion of an information exchange pact, aimed at curbing tax evasion and promoting cooperation between Indian and Seychellois authorities. The India-Seychelles pact resembles similar agreements between New Delhi and other states known for their attractiveness as off-shore tax havens. The Washington Post reported on Sunday that the Obama administration was working to impose sanctions against Chinese individuals and entities involved in cyber attacks and espionage against the United States. The report comes just a couple weeks ahead of Chinese President Xi Jinping’s inaugural state visit to the United States. The sanctions represent the first use of a new executive order signed in April (I wrote about the implications of the executive order for The Diplomat at the time). That order was announced some months after the hack against Sony Pictures, which the administration claimed had been carried by agents affiliated and backed by North Korea. Sanctions against China would represent the first use of that executive order. The Post notes that it is unclear when these sanctions would go into effect–it is entirely possible that they could come into effect before Xi’s arrival in the United States. If this were to occur, there is a risk that U.S.-China relations could be set back considerable. Economic sanctions against Chinese entities would cast a pall over an otherwise historic state visit. The implementation of these sanctions reveals quite a bit about the state of U.S.-China relations right now, and specifically about how the United States conceptualizes its national interests. The Western alliance may still sit on the Iron Throne, but the key to keeping power is bringing new friends into its orbit. I can’t tell you for sure whether Jon Snow is actually dead or not, but I can say that the world in which NATO finds itself today increasingly looks like a plot line from the next season of Game of Thrones. As the venerable alliance looks around its periphery, it sees the hot flames of war to the south and east and an increasingly contentious frozen world in the Arctic north. On the eastern edge of the alliance, Russia continues to destabilize Ukraine; over the past weeks, reports of more intense fighting continue to flare up — dozens killed in shelling and sniping, adding to the 6,900 deaths thus far in that crisis. The Minsk II cease-fire agreement is dead in the water, President Petro Poroshenko says the fighting will last for decades, and Russia continues to simply deny its involvement on the ground. Most observers expect heavier fighting to resume in the coming weeks. What Future For Emerging Markets? Yes, they have been walloped, but don’t discount how crucial they are when it comes to trade, climate change, peace and everything in between. BOGOTA, Colombia — Intelligence agencies in Colombia have been building robust tools to automatically collect vast amounts of data without judicial warrants and in defiance of pledge to better protect privacy following a series of domestic spying scandals, according to a new report by Privacy International. The report published Monday by the London-based advocacy group provides a comprehensive look at the reach and questionable oversight of surveillance technologies as used by police and state security agencies in Colombia. One tool developed is capable of monitoring 3G phone cell and trunk lines carrying voice and data communications for the whole country, according to the report. The system, called Integrated Record System, was built by police intelligence starting in 2005 and had the capacity of collecting 100 million cell data and 20 million text message records per day without service providers’ knowledge, according to the report’s authors. The report doesn’t say how the technology was used but such mass, automated collection of data isn’t explicitly authorized under Colombian law, according to the group, which based its findings on purchase orders and documents, many never seen before, and confidential testimony by people working in Colombia’s vast surveillance industry. The Obama administration is developing a package of unprecedented economic sanctions against Chinese companies and individuals who have benefited from their government’s cybertheft of valuable U.S. trade secrets. The U.S. government has not yet decided whether to issue these sanctions, but a final call is expected soon — perhaps even within the next two weeks, according to several administration officials, who spoke on the condition of anonymity to discuss internal deliberations. Issuing sanctions would represent a significant expansion in the administration’s public response to the rising wave of ­cyber-economic espionage initiated by Chinese hackers, who officials say have stolen everything from nuclear power plant designs to search engine source code to confidential negotiating positions of energy companies. Any action would also come at a particularly sensitive moment between the world’s two biggest economies. President Xi Jinping of China is due to arrive next month in Washington for his first state visit — complete with a 21-gun salute on the South Lawn of the White House and an elaborate State Dinner. There is already tension over a host of other issues, including maritime skirmishes in the South China Sea and China’s efforts to devalue its currency in the face of its recent stock market plunge. At the same time, the two countries have deep trade ties and the administration has sometimes been wary of seeming too tough on China. Kyrgyzstan is celebrating its independence today. On Friday, President Almazbek Atambayev declared the country energy independent with the opening of a new power transmission line. The Chinese-financed project may help Kyrgyzstan cut the cost of transmitting electricity within the country, or at the very least give Kyrgyz greater control over the transmission, but true energy independence will remain elusive. The Datka-Kemin transmission line enables Kyrgyzstan to transmit electricity from the Datka substation in southwestern Kyrgyzstan to a new substation in Kemin, in the northeast, without routing through Uzbekistan as older infrastructure did. Can SecDef Carter Win Over Silicon Valley? PENTAGON: The US military really, really wants Silicon Valley to help it find technologies to keep ahead of the Russians and Chinese and Defense Secretary Ash Carter’s visit there today is proof. But Silicon Valley has rejected the Pentagon’s blandishments or just plain ignored them for three decades. Today, Defense Secretary Ash Carter is holding his first meeting with Silicon Valley leaders at the Defense Innovation Unit Experimental (DIUX), trying to put some meat on the bones of the effort he announced at an April speech at Stanford University. The DIUX is at Moffet Field, next to a facility owned by Google. Carter’s meeting comes just three weeks after his deputy, Bob Work, made the first visit to highlight the new office.